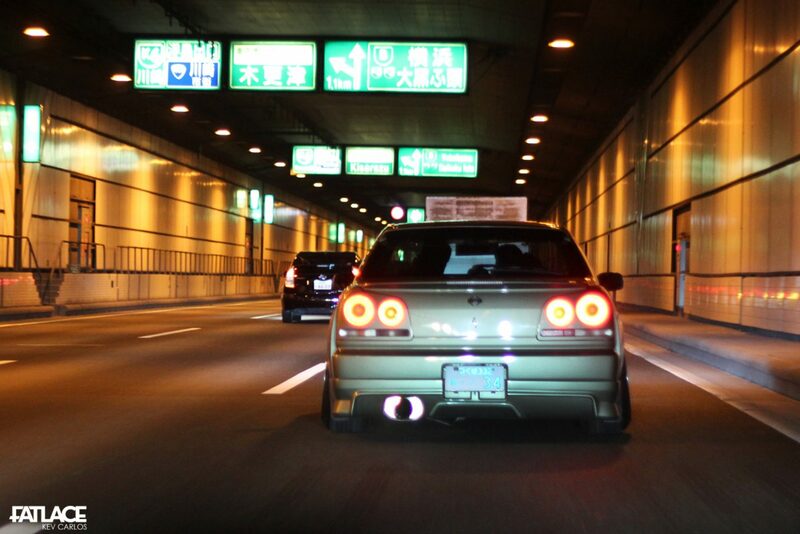 Modifying a car must be hard in Japan. As having an all-access pass on every single car part can be the largest threat, which can result in to losing the car’s original persona. First thing that catches my eye in a build is the car’s own character, this is how the car is modified to serve its purpose. Cars who follow the ‘less is more’ route will always be closer to my heart, as it shows self-control and refinement. This feature shows how Nissan could have made the ER34 sedan a bit more closer to its bigger brother, the BNR34. Enjoy this one. 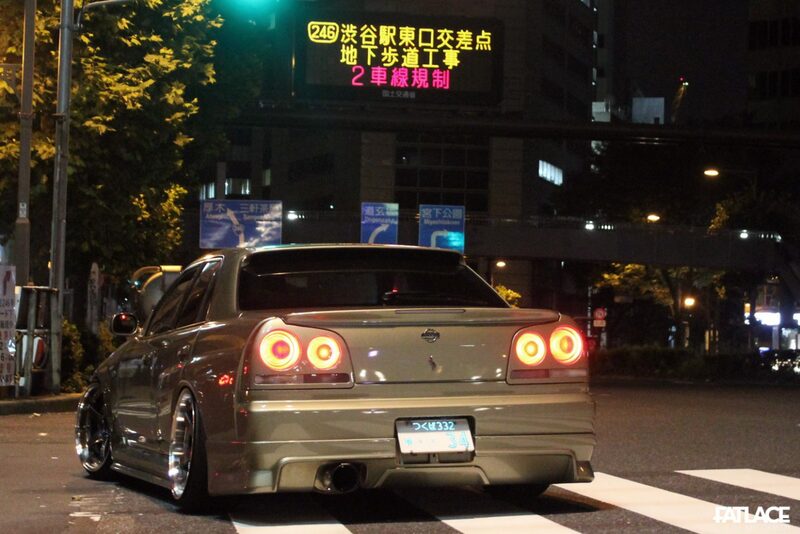 A Skyline in Japan modified closely to factory specifications? Yes, please. Owned by Junya Nakata, this particular ER34 sedan feels like it came out of the factory 16 years after its production date. Styled like a GT-R sedan, it’s something that Nissan should have build, and for that it has been an internet superstar for quite some time. 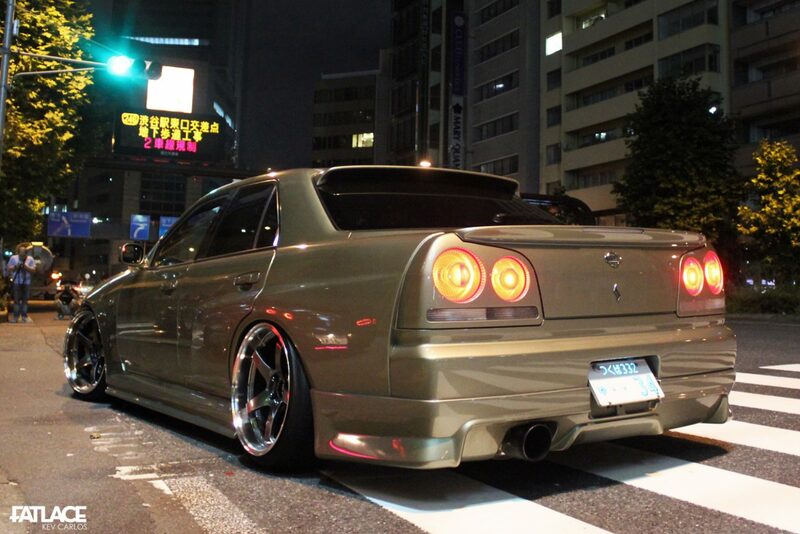 If you’re not convinced try checking out “ER34/R34 sedan” on any search engine/social media platform. 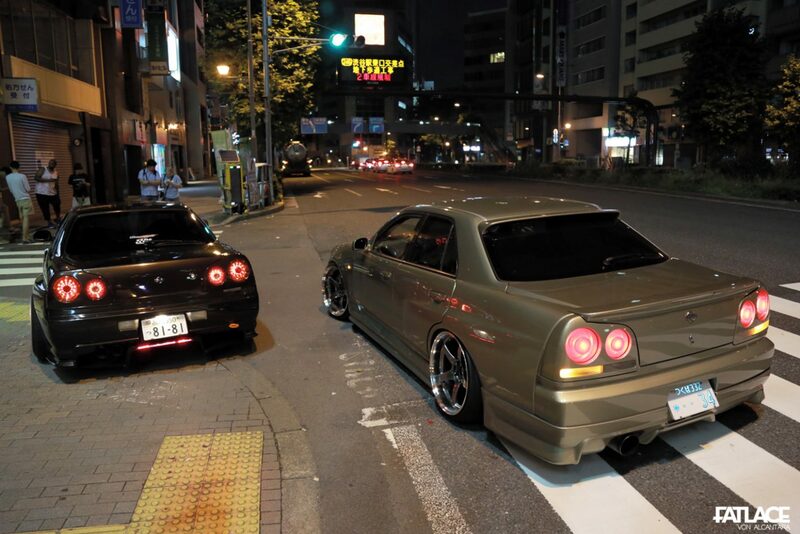 With the non-GT-R global game is boiling hot as I speak, these two builds are leading the pack by example. Junya-San and Takashi-San share the same style principle – sophisticated yet aggressive. What’s heartwarming is that how they keep grounded with all the spotlight around them. 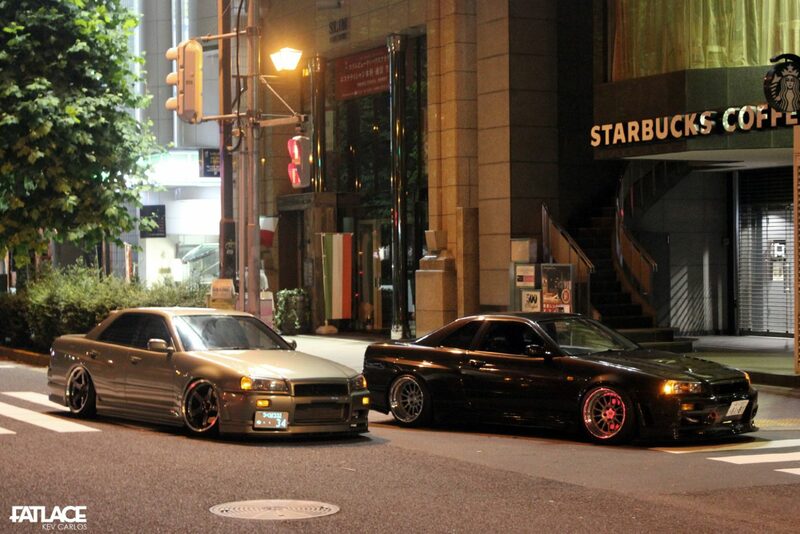 That night, Junya-San drove several hours to tour us around Tokyo’s late night gatherings. 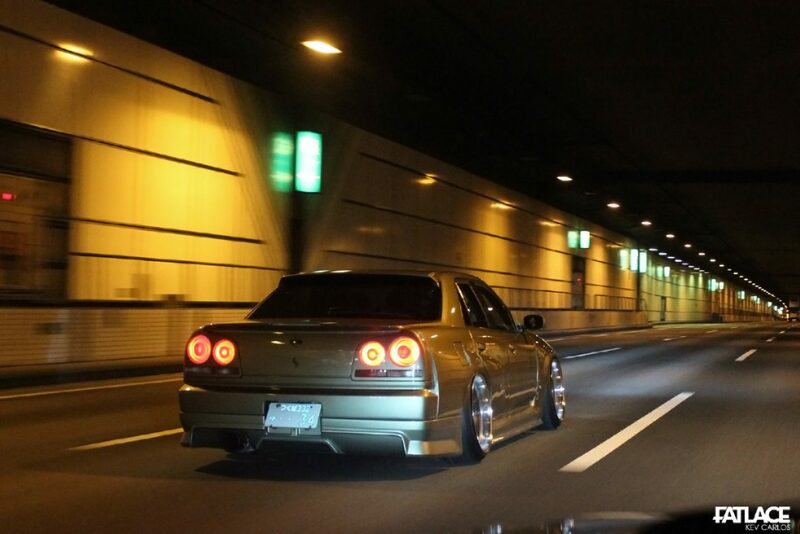 Rolling shots on the ‘Wangan/Bayshore Route’ was something I’ve always looked forward to since the day I went crazy about Skylines and photography. Check out this photo I took in Manila 6 years ago. Moments flash-backed and I was very thankful that somehow I ticked off something out of my bucket-list. 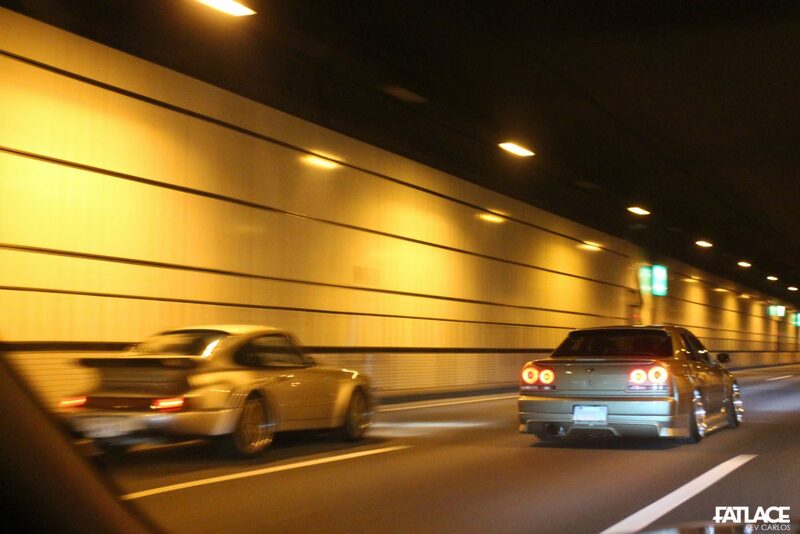 Known for high-speed runs, the ‘Wangan/Bayshore Route’ is perfect to drive-by late at night. Due to more strict police policies, rumor has it that modified cars here slowly declined over the past few years. We were quite lucky as a 930 Porsche drove by.. Maximum attack! Proper choice of body parts helped Junya-San execute his ideas properly. 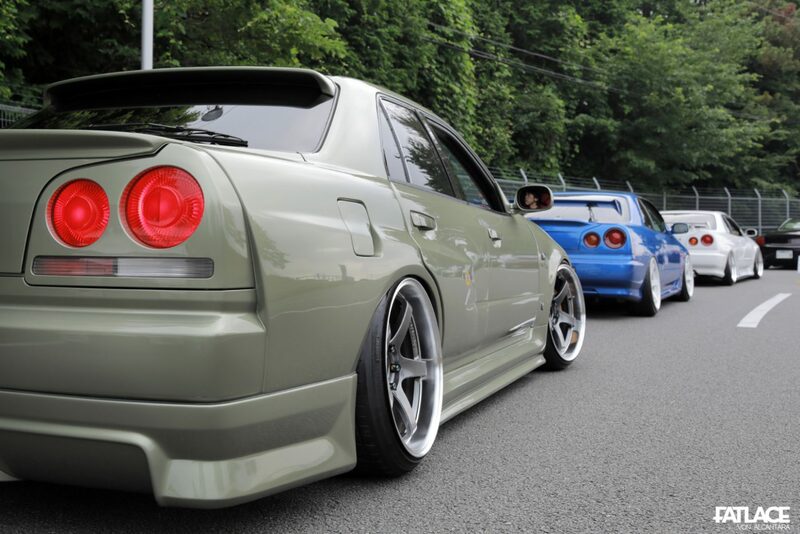 The front panels come from a genuine BNR34 GT-R, while the side-skirts, wide body-kit, and rear bumpers are from URAS. 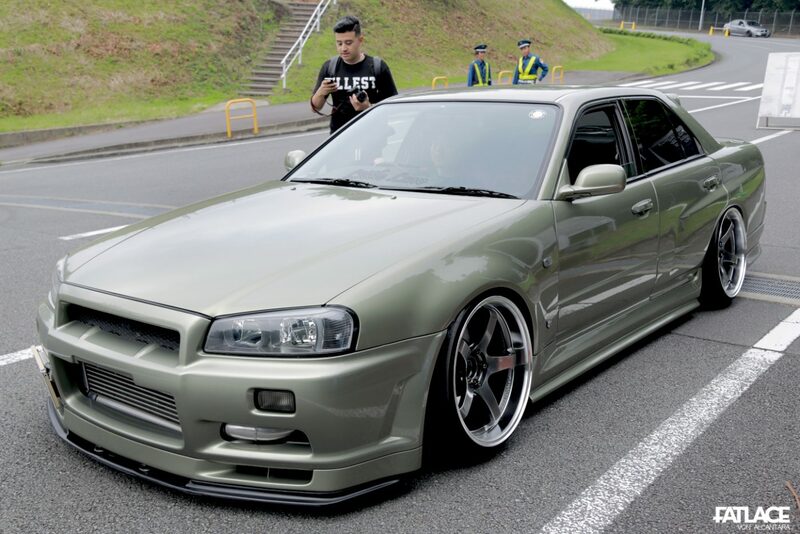 One of the main reasons why the car stands out is the paint choice, the elusive Millenium Jade Metallic from the BNR34 GT-R Nür. 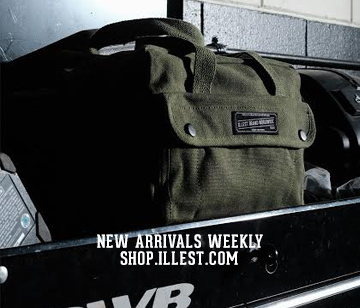 A healthy amount of aggressiveness with a signature hint of refinement is showcased all throughout the build. Junya-San states that his policy of building a car in a ‘spartan-chic’ way influenced him to execute his ideas. He also added that he wants the car appreciated by diverse age brackets. 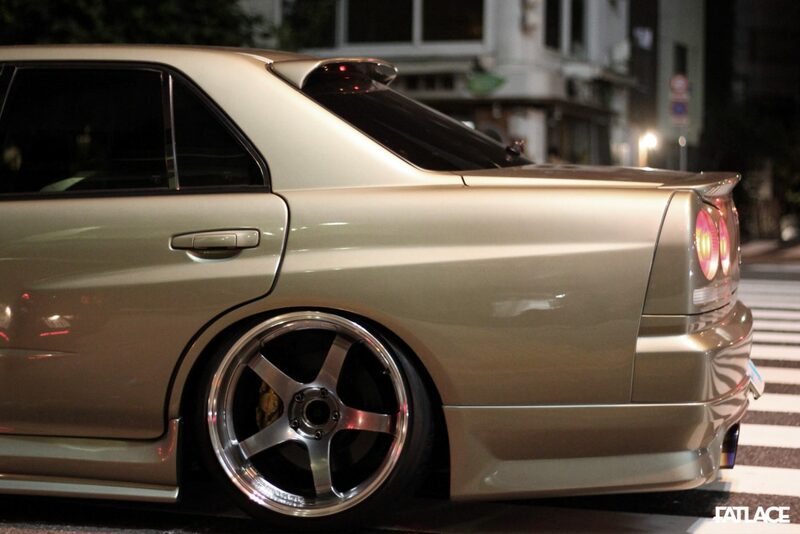 Ride height and fitment is just about right for his daily driver/show car. As we had very minimal rubbing issues on various speeds, I can attest that his Cusco coilovers + Swift springs combination is perfect for Tokyo’s streets. 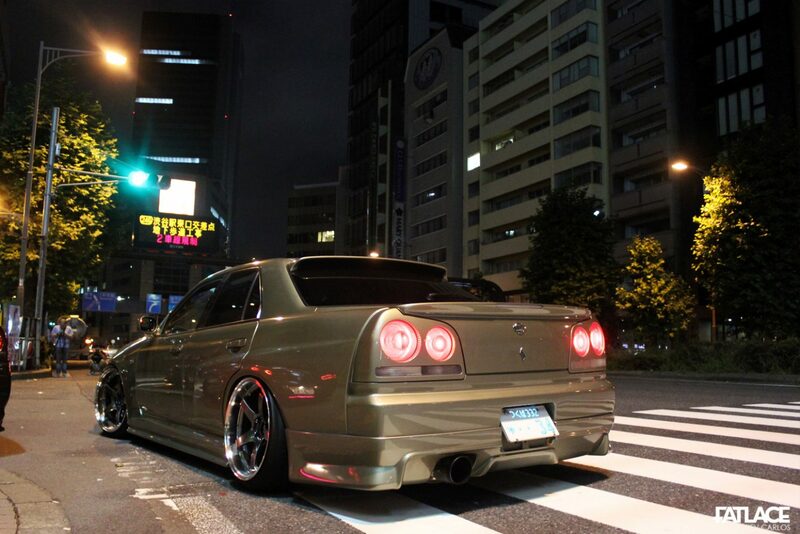 Known to have an automatic transmission, this Skyline was converted to manual by Strange in Kanagawa, Japan. To fit flush on all four sides, the car is installed with ADVAN GT’s measuring in at 19 x 10.5 +15 finished in Racing Hyper Black – wrapped in Nitto NT555 235/35/19 tires. 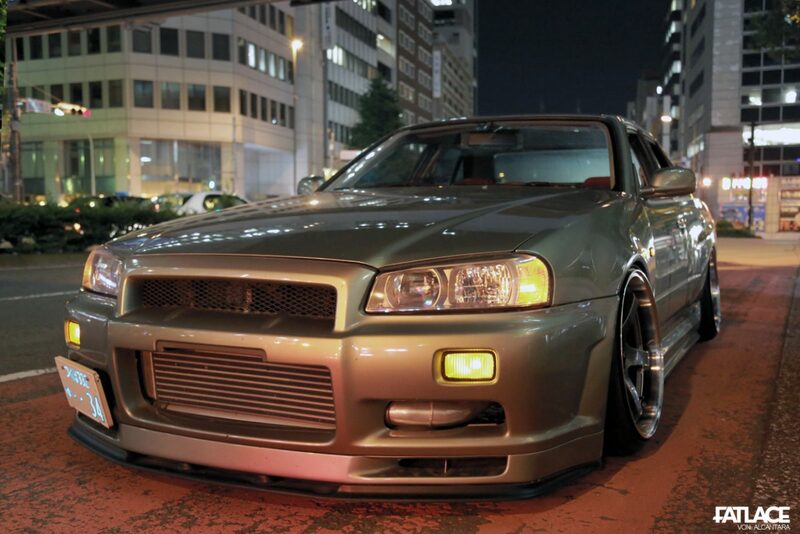 To add more stopping power, the car’s brakes were upgraded to R34 GT-R Brembos. 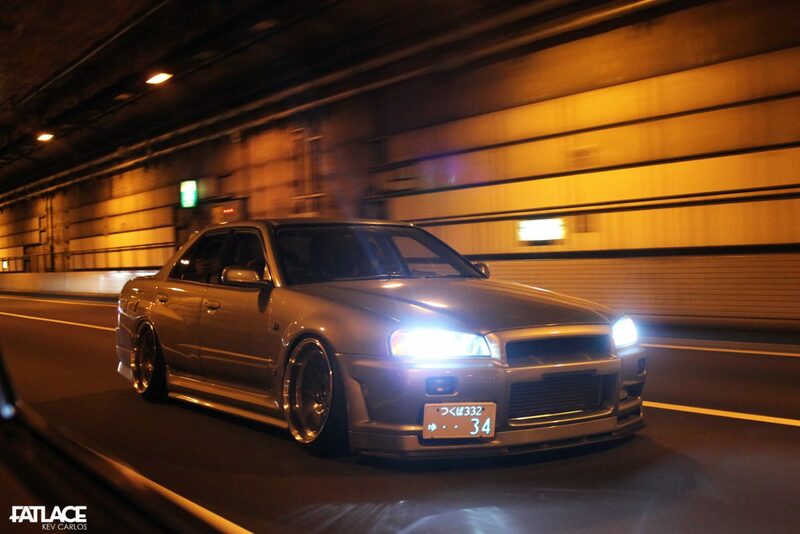 Basically, what you get is an R34 GT-R minus the twin-turbo engine/AWD plus 2 more doors! But wait.. I heard Junya-San plans to top his own build with a radical engine swap. Watch out for that! See you soon, Junya-San and Takashi-San! Hope you enjoyed this one.